It’s astonishing to see a significant amount of negative reviews Roland Emmerich’s STONEWALL has received. This film deserves nothing but high praise for courage, telling an important story the way it was possible. Certainly, I can understand why some viewers were not happy with Emmerich’s film, but under the given circumstances and the material he had, I highly doubt this movie could have been any better. Today, it was the second time I watched it on a newly released DVD and I found this movie even more fascinating than before. 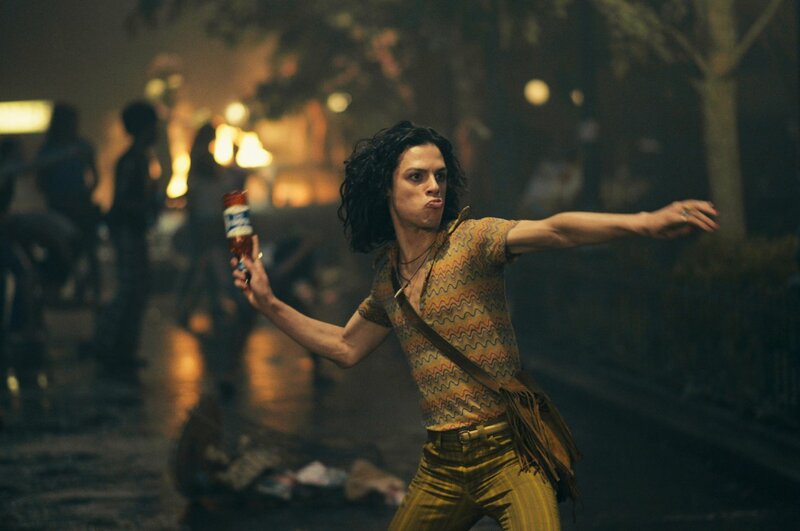 Stonewall follows Danny, a young man’s political awakening during the days and weeks leading up to the Stonewall Riots. When the movie begins, we find Danny in New York, when he walks into a local bar and meets Queen Tooey (Richard Jutras). Already aware of being gay, Danny tries to find his place under the sun in The Big Apple with other fellows who share the same vision of life. Even though by that time you know a little about his past, we shortly find out the reason our hero abandons his family. As the film progresses, we find Danny with new friends, and one of them is Ray/Ramona (Jonny Beauchamp) whose feelings start growing towards the young handsome man. But the life Jonny encountered is not what he expected as police start pushing hard on homosexuals with non-stop arrests, which mark the beginning of Stonewall Riots and an amazing journey for the viewer who simply needs to fasten his seatbelt and enjoy the high-speed ride with absolutely breathtaking performances, incredibly well-developed story and an experience not every movie is capable of delivering. In conclusion, STONEWALL is a movie that must be seen before judged. This is a film that will make you learn from it. You will see the world back then, when homosexuals were classified as mentally ill people. It’s about time when the Stonewall riots, and the people who despite the violence coming from the government stood for their rights to be equally treated, and as a result, changed the course of history. It’s a brilliant and powerful film that must be seen. But the performance of the entire cast, including incredibly talented Jeremy Irvine, Jonathan Rhys Meyers, and Jonny Beauchamp is what will leave you speechless in the end. Since the film is already available on VOD and out on DVD, it’s time you shared your opinion, whether you liked it or not.